I'm a huge advocate of open-ended toys, the kind of toys that encourage imagination and allow children to make their own creations with no right or wrong solutions. When children think for themselves they gain valuable life skills and also feel a sense of accomplishment. 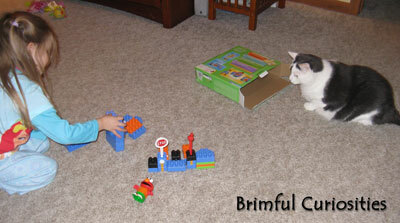 Building blocks and construction toys are classic examples of open-ended toys. Building activities help develop motor skills, strengthen spacial awareness and encourage problem solving. 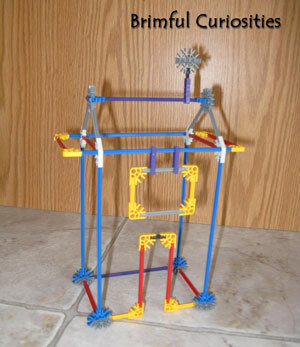 The K'NEX brand of construction toys foster open-ended play. 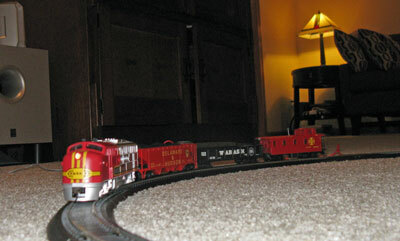 Kids can play with the sets for hours on end and construct in endless ways. Thanks to Team Mom and K'NEX we recently had the chance to try out two different K'NEX products. My children were very excited to receive the Police Station Building Set from the K'NEX Sesame Street Neighborhood Collection Line. 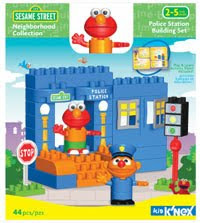 The set gives children the opportunity to recreate and build their own version of a Sesame Street police station complete with a stop-light and stop sign and even includes two buildable characters, Elmo and policeman Ernie. The set is recommended for ages 2-5. 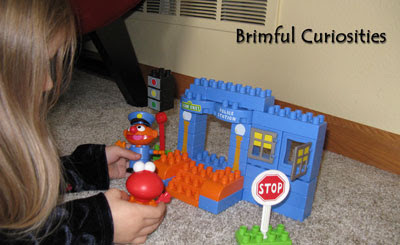 Directions are supplied for the police station depicted on the cover, but my kids prefer to free build and pretend play with the two characters. My toddler son especially enjoys the two windows that open and close. My toddler son can also put two blocks together and disassemble the station. He really enjoyed playing and pretending together with Mommy and his big sister. 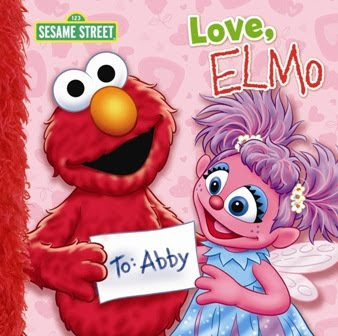 My preschool daughter really likes the characters and making up pretend situations and conversations. The chunky, larger sized blocks work with other brands like DUPLO and Mega Bloks so my kids often build larger creations and add to their police station using other block sets that we already own. The complete Kid K'NEX Sesame Street Neighborhood Collection line includes 4 separate sets: Ice Cream Truck Building Set, Police Car Building Set, 1-2-3 Brownstone Building Set and Police Station Building Set. 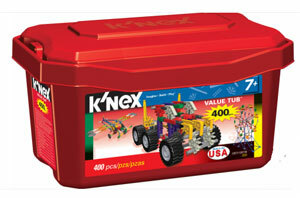 The K'NEX 400 Piece Value Tub is a multi-model building set meant for older children, ages 7 and up. The tub includes hundreds of small pieces and parts perfect for building small-medium size creations. K'NEX model building sets include bricks, rods, various funny shaped connectors and wheels that can be used to build both 2-D and 3-D models. The parts all snap together in many different ways and allow for movement so that kids can make interactive items like spinning merri-go-rounds and rolling vehicles. The blocks also work with other building sets like Lego. My kids are too young to play with this set, but I sat down and tried to construct a house out of some of the K'NEX pieces. Building with this set takes patience and engineering skills. It took me a half an hour to build a relatively simple house frame! 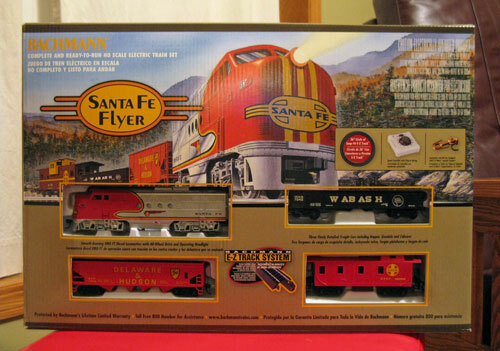 The set does come with a instruction book with ideas for 20 different models. I'd recommend that beginners try to build one of the models in the book first so that they can get a feel for the different pieces and how they work together. The storage tub is large enough to store finished creations and keep partially finished projects safe. My brother owned several K'NEX sets as a child and still loves playing with them, making complicated designs. I remember one time he tried to build a large ferris wheel, but I'm not sure if he ever finished that project. Like I said, these K'NEX sets require a great deal patience. Parents and children can build together. It's a great bonding opportunity. Right now K'NEX is sponsoring a “Make a K’NEXion” Video Contest. Parents can videotape their child building with select K'NEX building products and enter the competition. The ten best videos will get featured on KNEX.com and the winning video creator will receive $1,000 worth of K’NEX Toys. Official rules PDF: http://knex.com/pdfs/video-contest-rules.pdf. The contest ends 12/7/09, so start building soon! My daughter's school held a Scholastic book fair last week. I spent some time volunteering at it. I found it interesting to watch what the kids and parents/grandparents purchased. Many of the kids just wanted the toys! I'm still conflicted about toys being sold at the book fair. It just doesn't seem right, but toys do generate more money for the fundraiser. What are your thoughts? Just in time for Thanksgiving, another month's worth of winners. The bounty is great - Happy Thanksgiving! As always, all winners have or will be contacted by email. After the initial email they have 72 hours to get back to me before another winner is chosen. (Click on the image to enlarge the Random.org numbers.) 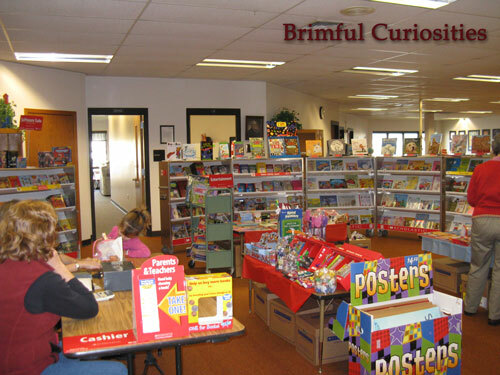 Thanks so much for visiting Brimful Curiosities. I appreciate your comments! 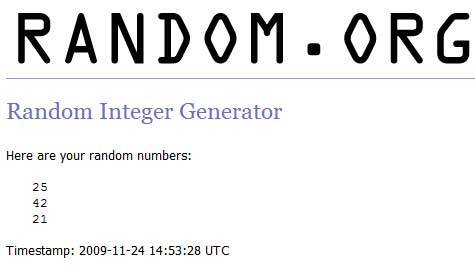 The winner is zachsgran (comment #62). 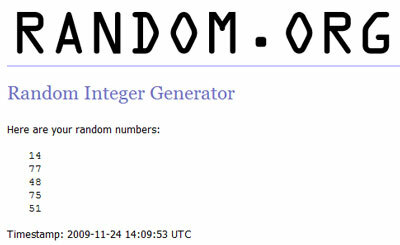 The winner is Angela G (comment #111). 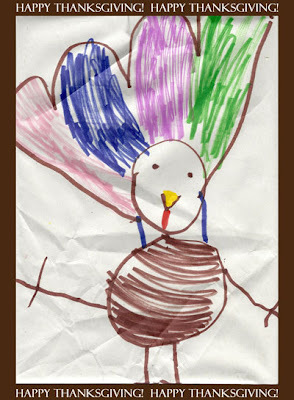 Due to the Thanksgiving holiday I will not post a Full to the Brim list this Friday 11/27. Still plenty of contests to enter from the previous posts. Please check out my other "Full to the Brim" posts as well. Many contests are still underway. I typically publish "Full to the Brim" every Monday and Friday. Thanks for visiting my blog and come back soon! 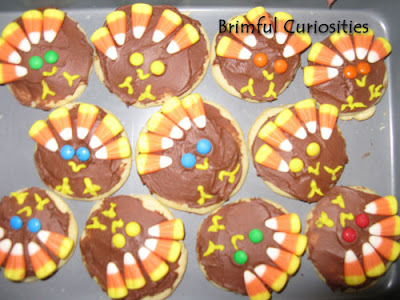 With Thanksgiving less than a week away, I've already begun my preparations. This year I'm hosting not one but TWO Thanksgiving dinners in my home. That's a lot of turkey! I'm hoping my meals will turn out as delicious as the feasts my mom has always prepared. Both my grandmother and mother are talented cooks and bakers, so I have some big shoes to fill. Thanksgiving is truly a special holiday for us filled with wonderful traditions. Usually we watch the Macy's Thanksgiving parade and a little football. 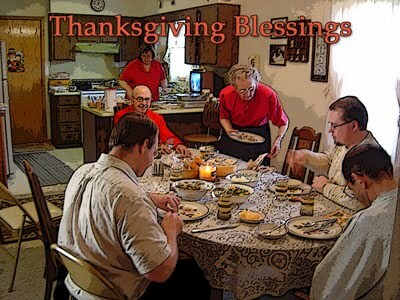 We gather together and give thanks for all of our blessings. And of course there is the food: the turkey, dressing, mashed potatoes, green bean casserole, rolls, cranberry sauce and numerous pies and treats. By the way, after browsing Walmart's website, I noticed they have a Food & Recipe center. Who knew? 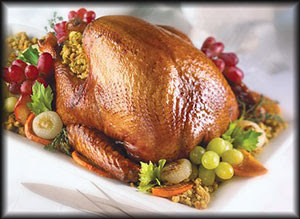 After a quick search I discovered several Turkey recipes including, Apricot-Onion Roasted Turkey, Brined Hickory Turkey, and Lemon-Herb Turkey Roast. This holiday season the site will also post some great recipes from the Food Network’s Melissa d’Arabians. And don't forget those photos with Santa. Last year our local Walmart had a couple special days when Santa visited and they gave out free photos with Santa. I took my daughter and was very pleased with the results. You can bet we'll go back this year! 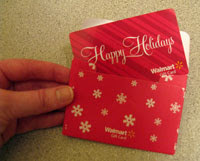 Thanks to Walmart and Mom Central, I'm giving away two (2) $30 Walmart Giftcards to Brimful Curiosities readers to help make your holidays a little brighter. 2 WINNERS! To enter, leave a comment telling me about one of your favorite holiday traditions. 1st extra entry: Leave a comment with a great food coupon deal you found online. I'll add it to my list above. Richard Scarry's books get plenty of attention in our home. Let's just say we have one of those taped together books of his, well loved and read often. See the photo to the right-case in point! Every time the kids and I read one of his books we discover something new. Scarry's books contain so much detail and the his animal character illustrations are darling. 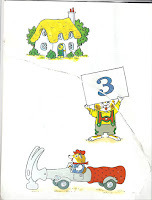 Our favorites include Huckle Cat, Sally Cat, Lowly Worm and, of course, that sneaky Goldbug. We never get tired of searching for Goldbug. The books have been translated into 30 languages over the last 40 years and over 150 million copies have been sold. 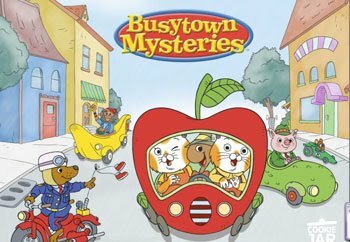 Now, kids can watch their favorite characters in the new TV series Busytown Mysteries. The series, produced by Cookie Jar Entertainment, just starting airing on weekends on CBS. (Check here for local air times.) 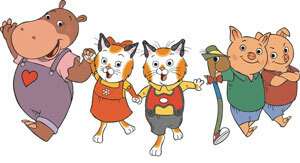 Huckle Cat and Lowly Worm, along with other friends try to solve mysteries in Busytown. They search for clues, ask the questions and use their reasoning skills - who, what, when, where, why, how? The episodes feature 2-D animation and the characters look like they've walked off the pages of Scarry's books. "The Falling Fruit Mystery" - Huckle and friends try to figure out why the cherries have fallen down from farmer Patrick's tree. "The Dragon Hunters" - There are reports of a fire-breathing dragon in Busytown. Huckle and friends investigate to find out the truth." As soon as I started playing the episodes, my preschool daughter excitedly exclaimed, "Hey, I have those books!" She pointed out Goldbug and Lowly Worm and a few of her other favorite characters. She watched both episodes all the way through and then decided that she wanted to solve mysteries, too. The series is a huge hit with her and we are planning to look for it tomorrow morning on our local CBS station. We also took some time to check out the interactive Busytown Mysteries website at http://www.busytownmysteries.com. Kids can choose their favorite character, pick a Busytown car and travel around Busytown visiting the countryside, wharf, park and downtown. My daughter's favorite activity is planting and watering flowers in the garden. 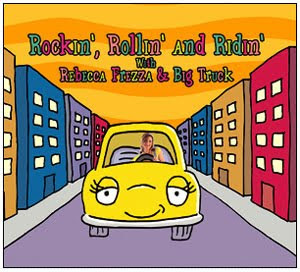 This website is great fun for pre-schoolers and allows them to explore Busytown and interact with the characters. After using the website and watching the TV series, I'm sure children want to revisit their favorite Richard Scarry books. Make sure to have a few in your home for them to read if they do choose to watch the series! Must be getting close to the holidays. The list is quite large today. Have fun browsing! Teach with Picture Books - Book Giveaway Ends ?? Several Giveaways for God is with me through the Night and God is with me through the Day by Julie Cantrell. Christian Book Notes - Ends ?? Win an awesome Adventures by Disney 2010 season Vacation worth $10,000+! Entrants choose a destination, print out a destination entry pack, and write a story of one-hundred fifty (150) words or less about Flat Stanley’s adventure in the destination. Those ages 7 and 12 can enter. For more details make sure to read the official rules. Capture your kids dancing to their favorite Putumayo Kids songs on camera and win the full Putumayo Kids Collection including the new Putumayo release - A Family Christmas (a total retail value of $285). Visit http://www.putumayo.com/en/dance_off.html for details. Try out your origami skills and make a paper crane. It just might get featured in an exhibit in the Crane Museum of Papermaking. Read this The Crane Insider blog post for details. Know of any other fun contests for kids to enter? Leave them in the comments. Giving isn't an easy concept for young children to learn. The holiday season offers many opportunities to teach children that giving is better than receiving. One hands-on way children can participate in charitable giving is by packing a shoe box full of goodies for Operation Christmas Child. This Christian charity helps deliver shoe boxes to youngsters in some of the poorest neighborhoods in the world. According to their website, the mission of Operation Christmas Child (OCC) is "to demonstrate God's love in a tangible way to needy children around the world, and the together with the local church worldwide, to share the Good News of Jesus Christ." The week of November 16-23, 2009 is National Collection Week. There are many drop-off locations around the country. This year VeggieTales has partnered with OCC in their DVD release, VeggieTales: Saint Nicholas: A Story of Joyful Giving. 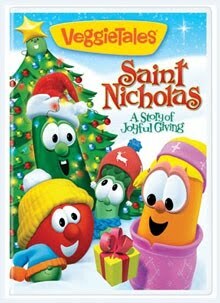 The new DVD teaches about the importance of giving by telling the story of Saint Nicholas, VeggieTales style. It even stars a new vegetable, Nicky the Pepper, as Saint Nicholas. The movie begins with Bob the Tomato and Larry the Cucumber preparing for Christmas. Bob tells the Veggie kids the true story of Santa Claus and how this story relates to the baby Jesus. Reading out of a book, he recounts the story, starting with Nicholas' childhood in Greece (a "grimy sounding country that was fairly clean") during the 3rd century. Young Nicholas' father and mother were very religious, had much wealth and often helped those less fortunate. While Nicholas was still young his parents died in an epidemic, leaving him a large inheritance. 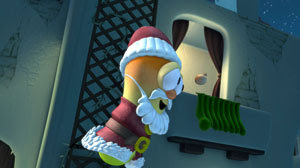 In this VeggieTales version of the story, Nicholas' servant, Octavious (Mr. Lunt), tries to help but Nicholas leaves Greece searching for happiness. He comes to the Holy Land and there meets Sister Claire (Petunia). She tells him that, "I can love because God loved me. I can give because God gave. Jesus' love is why I'm smiling - Why I'm giving every day." Inspired by this message he returns to Greece and finds it changed. An evil man named Gustav is now mayor and has outlawed giving. After reading Matthew 6:3, Nicholas decides to help people in secret. Disguising himself, he continues his parents' legacy of giving and encourages others to give. After hearing the story of St. Nicholas, the Veggie children and townspeople decide to help out a local family in need. Like all VeggieTales stories, this DVD has several funny, witty moments (the fish on sticks/fishsticks made me laugh), and the show even offers a hilarious explanation for the origin behind the flying sleigh and reindeer. The small town scenery is much like Thomas Kinkade's paintings, full of light and Christmas happiness. The beginning song titled "Hope It's Gonna be a Happy Christmas" perfectly sets a cheerful stage. The theme song, "I Can Love" tells the reason behind St. Nick's giving spirit. My preschool daughter found the part of the movie where Nicholas' parents died slightly troubling, but loved the rest of the movie, especially the silly chase scene towards the end. I recommend this movie to all Christian families. VeggieTales: Saint Nicholas offers a fun way to tell children the story behind Santa Claus and also inspires children to give to others cheerfully, as recipients of God's love and grace. As a bonus, the DVD features a special song, "Give This Christmas Away," by Matthew West with Amy Grant that helps promote the worthy cause, Operation Christmas Child. It's a wonderful song to share with your family this Christmas season. I had never heard of OCC, but, thanks to VeggieTales, I'm hoping to pack a shoebox for this cause with my children this year. Fifty years ago today The Sound of Music debuted on Broadway. The beloved musical by Richard Rodgers and lyricist Oscar Hammerstein II is one of the most popular musicals of all time. While on Broadway it won six Tony Awards including Best Musical. As a child, I watched the movie version starring Julie Andrews frequently and pretended to star in the show, wearing my own special costumes and singing along with all the wonderful songs. I know nearly all the songs by heart and have passed my love of the musical along to my children. Several years ago I read Maria von Trapp's, The Story of the Trapp Family Singers. I wanted to know the actual story that inspired my favorite musical, The Sound of Music. Those that wish to learn more about the von Trapp family should take the time to read Maria's book. Even though Rodgers and Hammerstein's musical isn't exactly historically accurate, I still love their version dearly. The music speaks to my heart and gives me goosebumps, especially the song, "Climb Ev'ry Mountain." Earlier this month on November 3rd, Masterworks Broadway released a restored, 50th anniversary edition of the original cast recording of The Sound of Music. 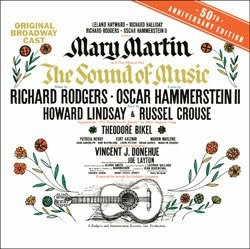 In this original recording Mary Martin stars in the leading role as Maria and Theodore Bikel plays Captain von Trapp. Besides all the familiar songs, the new edition also includes three unusual bonus tracks, extensive liner notes about the show's history, and rarely seen photos of the recording sessions. Sony Masterworks sent my family a digital download of the recording for review. The Sound of Music: 50th Anniversary Edition [CAST RECORDING] features songs performed by the original Broadway performers, restored for optimized sound. Even though most of the songs on the album were recorded on November 22, 1959, the sound is amazingly clear and of the highest quality. Mary Martin's voice is a little deeper and her style differs somewhat than Julie Andrews' performance style but we thoroughly enjoyed listening to this original version. My kids love the yodelling song "The Lonely Goatherd" and wanted me to play and replay the the track so that they could Odl lay ee along. Patricia Neway gives an impressive performance of the inspirational "Climb Every Mountain" showing off her powerful and strong voice. My mom's favorite, "Edelweiss," is featured on two tracks, the first song by Bikel, Martin and the children and later again in a very interesting version sung in German. Overall, this is an exceptional album and one that will be cherished by all fans of The Sound of Music. It's also great for family sing-alongs! A new pop-up children's book has also been released by Simon & Schuster to correspond with the 50th anniversary. 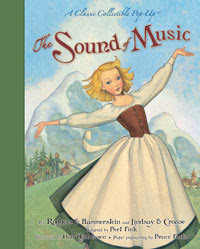 The book is titled, The Sound of Music: A Classic Collectible Pop-Up. (I will review the book at a later date when I receive a review copy.) A corresponding Sing-along activity kit is available for viewing online and includes a number of fun printables and activities, including some sing-along lyrics for "So Long, Farewell” and "Do-Re-Mi" to use with children. Win your own copy! Masterworks Broadway/Sony has kindly offered to give away (1) The Sound of Music: 50th Anniversary Edition [CAST RECORDING] CD to a Brimful Curiosities reader. To enter, leave a comment with the name of your favorite The Sound of Music song. 1st extra entry: View The Sound of Music Sing-Along Activity Kit and comment with one of the words found in the The Sound of Music Word Search. I'm helping out with my daughter's school book fair, so I won't have time to post Full to the Brim today. Please check back on Friday for more contests. Also, don't forget to enter the giveaways here at Brimful Curiosities. Two are ending tonight. Thanks! 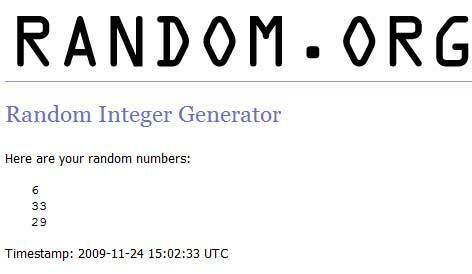 Cynsations - Book Giveaway Ends 11/30/09? On Our Minds at Scholastic - Book Giveaway Ends ?? Mama Bzz - Book Giveaway Ends ?? Our Ordinary Life - Book Giveaway Ends ?? Several Giveaways for The Nutcracker and the Mouse King illustrated by Gail De Marcken [written by by E.T. A. Hoffman] and The Christmas Magic by Lauren Thompson, illustrated by Jon J. Muth. Through the Looking Glass blog - Ends ?? The kids both caught colds and my daughter missed the last few Sunday School classes so I decided it was time for a Bible story this week. I can vaguely remember the cover of one of my favorite Bible stories growing up, the story of Joseph and his coat of many colors. I'm pretty sure the illustration on the cover depicted a shepherd Joseph wearing a brilliant, colorful coat and holding a staff. I haven't been able to locate find the book and my mom does not remember the title, so we read a few others this week instead. With Thanksgiving and winter fast approaching, I also thought it was a good time to talk to my daughter about those less fortunate. While reading the books, I mentioned to my daughter that not all children have warm coats to wear because they cannot afford them. We talked about generosity, having compassion for others and being thankful for what we do have. "Joseph's Coat" is one the short Bible stories included in 100 Bible Stories, 100 Bible Songs by Stephen Elkins. 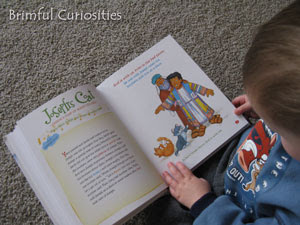 I read my children the brief story and we listened to the accompanying song, "Joseph's Coat of Many Colors." 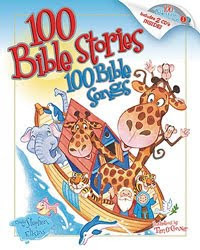 100 Bible Stories, 100 Bible Songs is perfect for sharing brief Bible lessons with your children and includes both Old and New Testament stories. Two CDs with 50 songs each are included inside the book and enhance the reading experience. The songs feature young children singing accompanied by synthesized music. 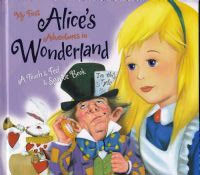 (Although the book does not include the lyrics to the songs, they can be found on the related website, My Wonder Kids). Each page spread typically features one story with simplified text on the left hand page and an illustration on the right. The illustrations by Tim O'Connor are bright, cute and appropriate for young children. I especially like that each story lists the Bible verse(s) that each story is based on. However, I wish that the corresponding Bible Song track numbers were listed in the book so that I could easy find the accompanying song for each story without taking the CD out of the player. 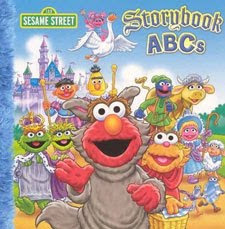 My preschool daughter enjoys paging through the book and looking at the illustrations. Her favorite part tells the story of Baby Moses. This is not a book to be read cover to cover in one sitting, but one that is appropriate to use as a resource in supplementing home religious studies. I would also recommend it to Sunday School teachers. 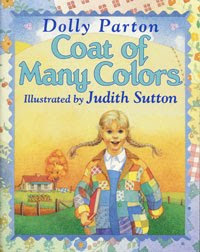 One of Dolly Pardon's most famous songs is "Coat of Many Colors." Judith Sutton's illustrations pair together with the lyrics to this wonderful song in a children's book by the same name, Coat of Many Colors. The book shows a little girl living in a rural area. Fall approaches and she doesn't have a coat. Her mother takes a box of rags and sews together a patchwork coat. The little girl proudly wears her coat to school and, even though her friends make fun of her, she cherishes her coat, remarking that, "One is only poor if they choose to be." This heart-warming story about poverty teaches each of us to count our blessings no matter our situation in life. It's a beautiful story to share with children, especially in the fall season. 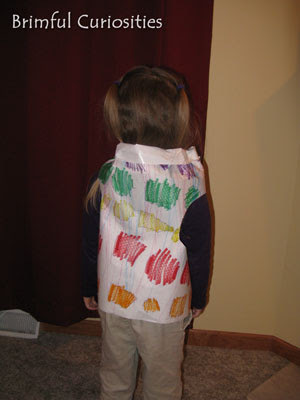 For our stART project, we made our own coats of many colors by decorating freezer paper with markers and cutting out armholes with a scissors. Unfortunately the little guy refused to wear his, but my daughter proudly posed with her gorgeous coat. Post what you've been reading each week with your kids at The Well-Read Child or Mouse Grows, Mouse Learns. A Mommy's Adventures hosts the "stART" meme (Story + Art) each week. Hope Is the Word hosts a Read Aloud Thursday link-up as well.